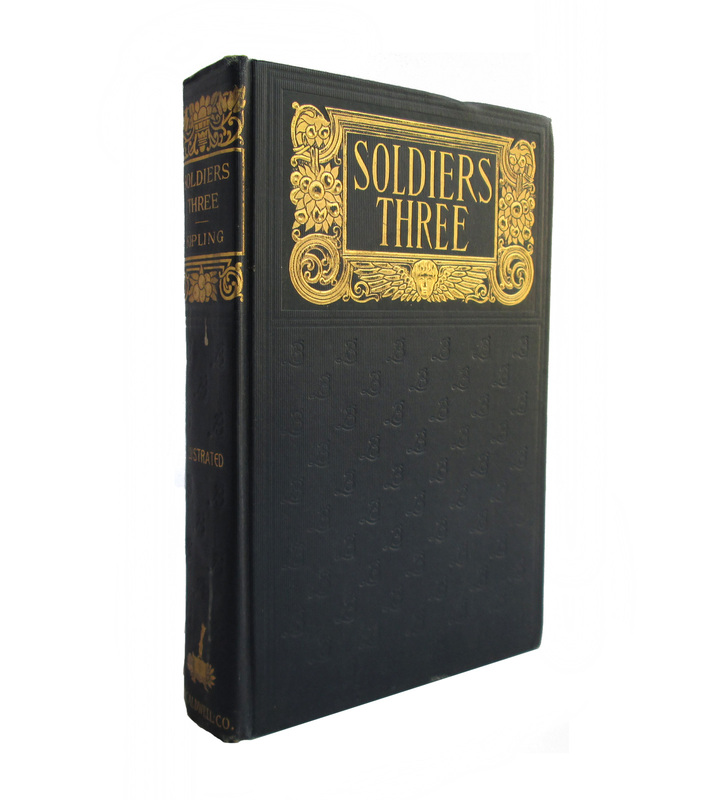 This antique hardcover book is bound in blue cloth boards with bright gilt lettering on the front and spine, and gilt top page edges. Spine has some stains, edgewear; inner pages faintly browned, general wear and soil. 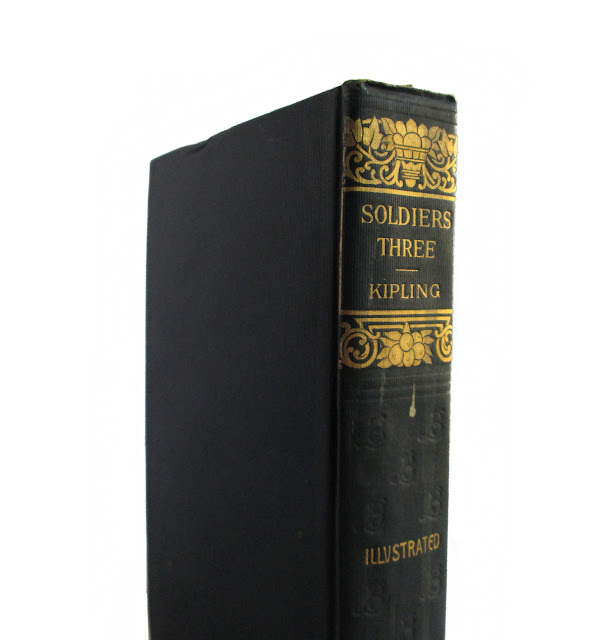 Contains short stories by Kipling. 302 pages; approx. 5"x8".